I often get messages from people that are very frustrated as a result of puppy potty training problems. [wp_ad_camp_5]They have followed all the standard advice and yet their puppy wees in the house more than he wees outdoors! 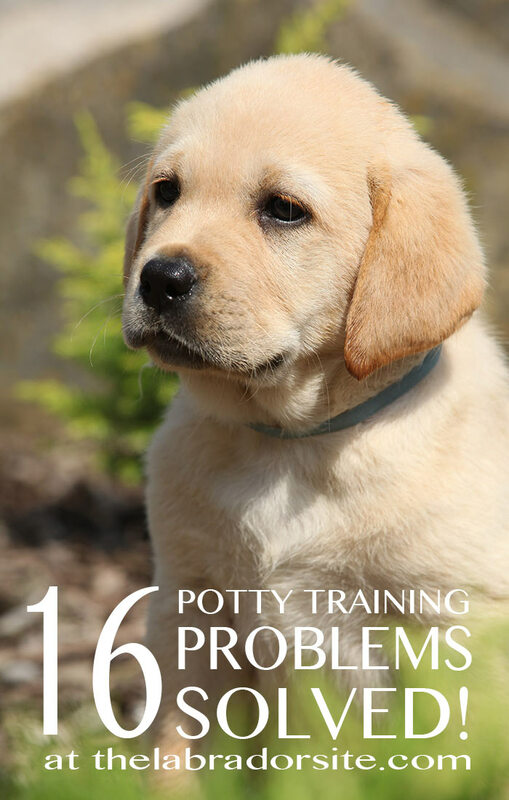 Each family and puppy is different but fortunately in nearly every case, we can pin potty training difficulties down to one or more of the 15 reasons I’m going to talk about below. In each case, I’ll explain what the problem is, and what you can do to put things right. So let’s dive straight in. 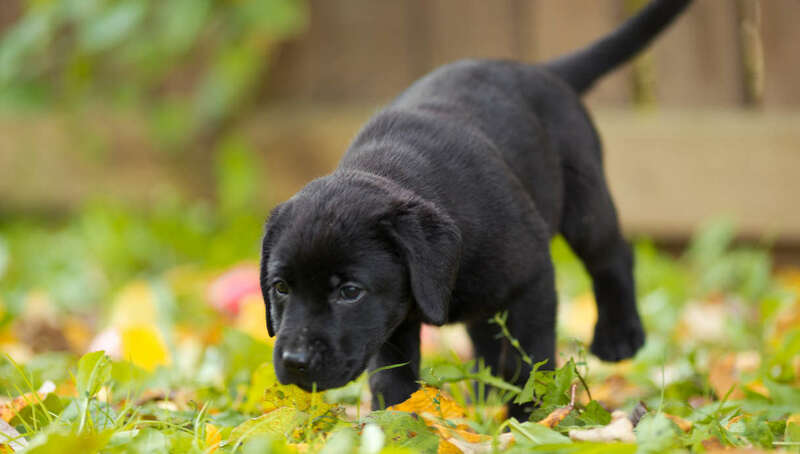 Puppies have very little control over their bladders, so to begin with your puppy is not going to wait until his bladder has filled right up, before depositing the contents on your floor. You may want him to empty his bladder in the garden, but he is going to empty his bladder as soon as it starts to feel a bit uncomfortable. That might be a lot sooner than you think it should be. And you won’t get much warning. He may look a bit distracted or start to sniff around briefly. And that’s about it. If you don’t spot the signs, a puddle will soon follow. You need to either supervise your puppy very, very closely when his bladder is beginning to fill. Or put him somewhere where he will try very hard not to empty it. Such as a small crate, or being held in your arms or cuddled on your lap. Once that ‘bladder fill level’ is past half way, you are in ‘danger’ territory. You need to be actually watching your puppy like a hawk, or cuddling him, or he needs to be in his crate for a few minutes. Working out when your puppy’s bladder is getting full: True enough, there is no ‘fill gauge’ on your puppy, to tell you when his bladder is past the half way mark, no little red light, and no warning buzzer. [wp_ad_camp_2]That makes it hard for you. And it’s why accidents happen. The best way to keep accidents to the absolute minimum, or even avoid them altogether, is to figure out how full your puppy’s bladder is, based on how often he empties it. So, if your puppy empties his bladder every twenty minutes, then ten minutes is the longest you can take your eyes off him for, after he has emptied himself in the garden. Reducing supervision: Once he is able to last an hour between wees, then you may be able to reduce supervision for half an hour after his last wee. 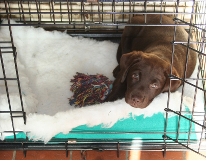 Not everyone wants to use a crate and we’ll look at coping without one in a moment, but many people do use ‘crate time’ for those periods when a puppy’s bladder is filling up and they cannot supervise him. And that brings us to reason 2 because problems can arise when a crate is too large. 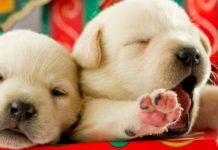 Many people put their puppies in a crate at night, or when they can’t watch him for short periods during the day, because they have been told that the puppy won’t wee in his own bed. Only to find that he wees right there inside the crate! What’s that about? Before you kick your crate out of the house, hold on a second. This does not mean that crate training doesn’t work. Unless you are crating your puppy for too long (and we’ll look at that in a moment) in all probability, it means you need a smaller crate. This can be annoying, because crates are not cheap, and puppies soon grow out of a puppy crate. Short time / small crate: The crate that your 8 week old puppy sleeps in won’t last him much more than a couple of months. But if you are going to use crating as a potty training aid, the crate needs to be small. This also means that crate time must be very short. Not just because it is unethical and inappropriate to crate a small puppy for very long, but because he physically can’t wait very long once he is awake and active. It doesn’t matter that there isn’t room for the puppy to play, because apart from the dead of night, he isn’t going to be in there for very long. Which brings us to problem 3. Puppies will try very hard not to wet their own bed. 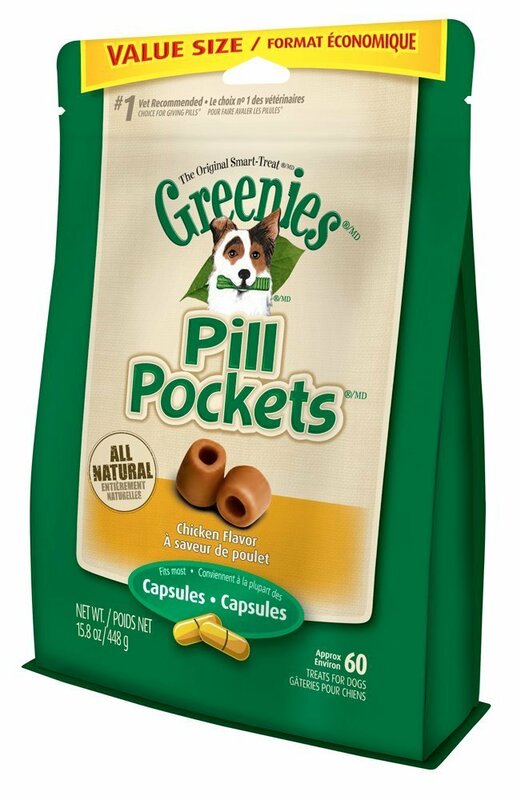 But their efforts are limited by the puppy’s ability to hold onto the contents of his bladder. An ability that quite naturally, is somewhat limited in the early weeks of his life. So, a crate can be a useful potty training aid, because it helps the puppy learn to hold on to the contents of his bladder that little bit longer. Provided, of course, that the wait is within the limits of his physical maturity. And many people get this proviso part wrong. The result is then a puppy that wets his bed. Sometimes this can go unnoticed by puppy parents until it has become a habit and the puppy has stopped trying to keep his bed dry. 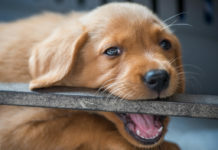 Set your puppy up to succeed, not to fail: Let’s face it, if you are trying your best at something, but are continually prevented from succeeding, you eventually give up trying. This can happen to your puppy too. 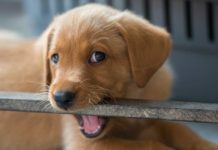 Don’t overestimate your puppy’s ability: The answer is not to overestimate your puppy’s ability to hold on to the contents of his bladder (we’ll look more at that in Reason 4) and to always check your puppy’s bedding for damp patches when you fetch him out of his crate, to make sure you are succeeding. 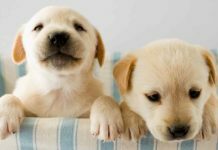 Check your puppy’s bedding: So, check that bedding, and if the bedding in a sufficiently small crate is wet, you have left your puppy too long. If you have to leave your puppy longer than he can last without a wee, you need to leave him in a large puppy pen or puppy proof room, with puppy pads or newspaper at one end, and his bed at the other. Bear in mind also, that a puppy can last longer at night when his metabolism drops and he is sleepy, than he can during the day when he is eating and drinking regularly and is active. 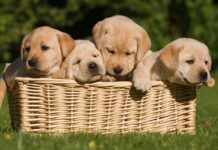 Using the crate at the right time: Remember, the right way to use a crate is for short periods when your puppy’s bladder is starting to fill, but before it is so full that he can’t hold it any longer. Don’t waste your puppy’s ’empty bladder’ time by shutting him in his crate when he has just done a wee – this is the time when you can relax a little and enjoy his company without worrying that he is going to wet himself! Don’t crate if you can’t keep crate time short: If you have to leave your puppy for long stretches, crate training is not for you. If don’t have the time or concentration to supervise your puppy this closely, you need to consider having a puppy pen, or puppy proof room where you put down puppy pads of newspaper for your puppy to wee on. Cover the whole area to begin with then gradually make his toilet area smaller and smaller and eventually move it outside. We used to call this ‘paper training’. Don’t forget, puppies should never be left for long stretches shut in a cage! This problem applies to the puppy that is not in the crate at all, but is wandering about in the house. If you are having regular accidents outside the crate, you may well be leaving your puppy too long between trips to the garden. Puppies have annoyingly small bladders, and very little control over them. One of the commonest reasons for puppies to wee indoors, is that you have simply left the puppy indoors too long. People often say to me – “but I let him out every hour!” as though that should be sufficient. And for some puppies it would be. But I have had puppies that need to wee every twenty minutes in the first week or so. It is also very easy to underestimate the time that has passed since the last trip to the garden. Especially when you are busy. Set a timer for twenty five minutes, or forty five minutes, or whatever gap of time you think your puppy can wait, and take him outside when it goes off. Frequent visits to the garden are time consuming but it is what it is. You have to deal with the puppy in front of you, not try and make your puppy fit in with what someone else’s puppy is capable of. Rest assured, he will grow and mature very fast. In just a month of so, this will be a distant memory, provided that you get good habits established now. That means putting your puppy out when he needs to go, not when you think he should need to go. Which brings us to the next problem, and one that confuses a lot of people. Because if you are watching your puppy and waiting for him to ask you to let him out, or to let you know that he needs the bathroom, you are probably going to have a very long wait! 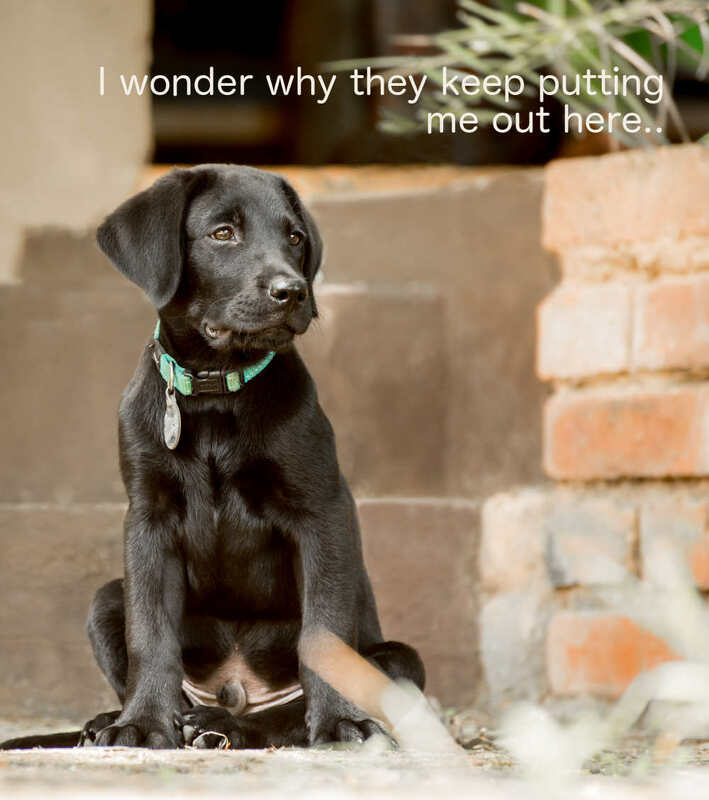 If you are observant, you may be able to spot the signs that your pup needs to ‘go’. Some pups will sniff around in little circles in the same place. This is especially true if they feel a bowel movement coming on. But many puppies give very little warning at all. They just squat down, and there it is. 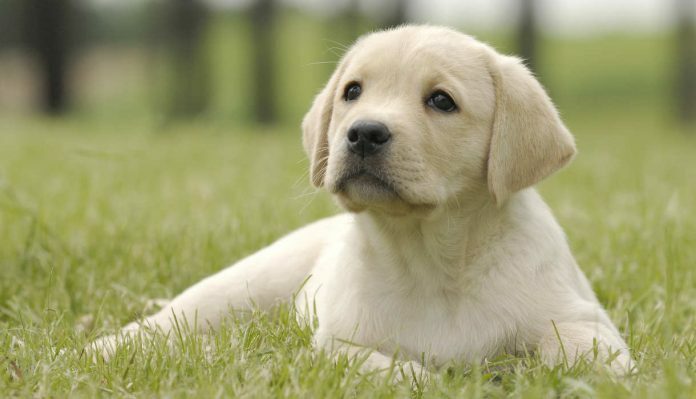 Many puppies will quickly learn to find their favourite patch of grass, all by themselves. And their delighted owner is convinced they have potty trained their puppy successfully in a matter of days. But, what they have actually done, is made sure that the puppy has the opportunity to be clean. They have not taught the puppy to ‘hang on’ if that opportunity is not there. With the door permanently open, the puppy never has to wait very long. And although he has learned that there are great places to pee outside, which is good, if one day the door is shut he is likely to be caught out by a full bladder, and well, you know what happens next. I’m not saying that this (door open) method doesn’t work, it can work well, especially if the access to out doors is always available. In this case, gradually, the puppy will need to pee less often and his bladder will mature. The main problem with this method, lies in assuming the puppy is housetrained at a very early age when really he still needs your help in reminding him, and providing access to his bathroom area. And it isn’t a great method if the puppy’s access to outside varies from day to day. If you can’t consistently leave the door open for the next three months, I don’t recommend it. So if the door is going to be closed, you can just put the puppy outside into the garden, and watch him out of the window – right? We’ll look closer at that in Problem nine. Puppies have a useful instinct that encourages them to pee in places where they have peed before. This is useful because it means that once you establish a habit of going outside in your yard, or in the toilet area you have designated for your puppy, he will really want to go there again. But this instinct is a double edged sword in that it also encourages the puppy to pee indoors in places where he has had an ‘accident’ in the past. I hasten to add, I am not suggesting that you are not cleaning up properly after your puppy, of course you are, but there is cleaning, and then there is cleaning. So, you need to make sure that you not only mop up any accidents thoroughly, but that you do this with cleaning products that do not contain ammonia. You can buy specially designed products for clearing up puppy accidents and these are quite a good idea, especially if your puppy is struggling a bit with this part of his education. 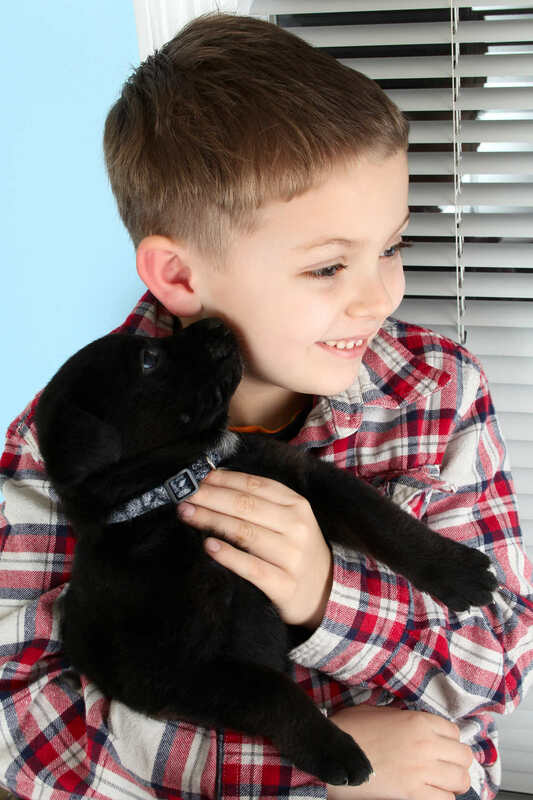 When you bring a new puppy into your life, you bring him into the heart of your family. In many homes the rooms where families spend a lot of their lives are carpeted. And this can be a problem for puppies. To a puppy, a carpet feels a lot like grass. It’s soft and spongy. Just the kind of place a puppy likes to relax and empty himself. 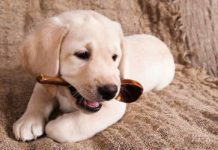 To make matters worse, it is almost impossible to remove all traces of urine from a carpet, to a level that the puppy cannot detect. So, if you bring your small puppy into a carpeted room he needs to be supervised every single minute. And preferably held in your arms or on your lap. A better solution for many families is to prevent the puppy having access to carpeted areas of the house using baby gates. If you want your puppy to be near you in the evening while you watch TV then a crate next to your sofa with some nice kongs inside it to keep him occupied is an alternative to letting him romp around at will. #Problem 9 you are leaving the puppy outside on his own. I know exactly how tedious it can be waiting outside for a nine week old puppy to go for a wee, when he would rather play with your shoe laces or dig up the lawn. It is very tempting, especially in bad weather, to push the puppy out into the garden and leave him there to do his business. After all, there’s no point both of you getting cold, is there. The problem is that most tiny puppies are very dependent on their new ‘grown-ups’ for at least the next few weeks. If you don’t go with him, he won’t relax enough to think about going to the toilet. In fact, unless he is absolutely desperate, he probably won’t go at all. The chances are, he’ll sit by the door, waiting for you to let him in again. So, I’m afraid you need to bite the bullet. Get yourself out there with your puppy and wait with him until he does a wee, or a poo if he has eaten recently. And don’t expect it to be a two minute job, which brings us to problem ten. Many people find that their puppy wees in the house, right after they bring him indoors after an unsuccessful stint in the garden. This is often simply because they haven’t waited for long enough. Depending on your puppy you may be looking at five or ten minutes to get results. 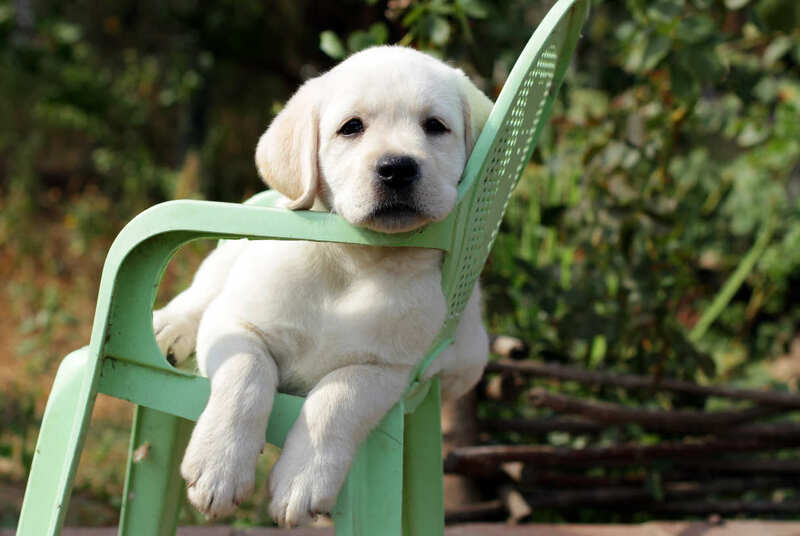 If you don’t like standing around, you can put a chair out by your puppy’s toilet area – though some pups will find you sitting next to them too much of a distraction – we’ll look at that some more in a minute. A garden chair can be helpful during potty training! If your puppy can’t concentrate on having a wee with you sitting near him, you are just going to have to stand up. Try walking about very slowly too. As your puppy follows you, his little nose will drop to the ground and he may come across a place that triggers his urge to ‘go’. If you take your puppy outside to go for a wee, and your kids are playing ball on the other side of the garden, it isn’t going to happen. Puppies will empty their bladder if they have to, because it is very very full, or if there is nothing better to do. So, if your puppy’s bladder is only two-thirds full, he is not going to empty it if there is fun to be had elsewhere. The ‘full’ signal just won’t be strong enough to break through the excitement. If you are having problems getting your puppy to wee outside, make sure there is nothing else worth doing at that point in time. Keep things low key and boring. This is a common one where I come from in the UK. Even during the summer, there are often periods of bad weather. A puppy that has been dutifully using his outdoor bathroom area for several weeks, may suddenly start having accidents in the house when the weather changes. After all, would you like to stand outside and pee in the pouring rain? Or in a howling gale? Puppies quite naturally consider this unreasonable. So if you are finding puddles under the kitchen table, in an older puppy that you thought was capable of taking himself outside to do the necessary, you’re going to need to put your hat and coat on, and teach your pup to pee outside in the rain. So, your puppy is four months old, and there have been no accidents for at least a couple of weeks. You’ve cracked it right? You’ve won. How easy was that? You are probably wondering what all the fuss is about. Then, all of a sudden, you step in a puddle – or worse! The weather is fine, there are no distractions in the garden. What is going on? The most likely reason is that you have ‘taken your eye off the ball’ or in this case, off the puppy. You have dropped your level of supervision too quickly, and are not noticing the signs that your puppy needs to go out, or helping him to hold on when his bladder is full. You have also probably stretched out the gaps between toilet breaks too far for the puppy to cope with. Don’t panic! All is not lost. Take a deep breath and go back a step. 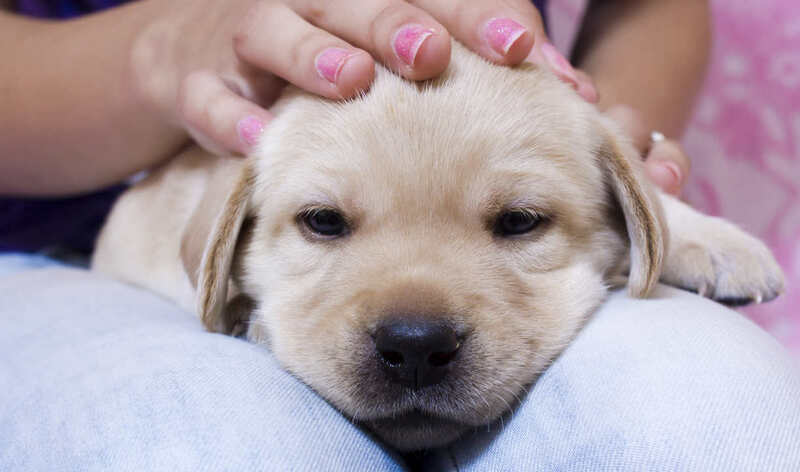 Read the house-training instructions in this article – and just treat your puppy like a baby for a while longer. Even if you have to go right back to supervision in the garden etc, and crating or cuddling at ‘danger’ points, you will make much faster progress this time. I don’t need to tell you that small puppies and small children should not be left unsupervised. But, it is very tempting to leave the puppy in the tender care of your older children. They think they’ll watch him, but they probably won’t..
“We’ll watch him Mum” they cry, and carry him off happily to their bedroom, or in to the living room, where they proceed to get thoroughly engrossed in the latest video game. And let’s face it, you can’t fight martians, or race cars effectively and watch a puppy at the same time. The sad truth is, if you want this puppy potty trained fast, the chances are, you are going to have to do the lion’s share of the work yourself. Children are rarely as committed to the whole process as you are going to be. So far, I have thrust the entire responsibility for potty training your puppy firmly on to your shoulders. It can be tough knowing that everything depends on you. But just occasionally, it isn’t your fault at all. Sometimes, especially in puppies that have been clean for several weeks and then start having accidents again, just sometimes, the problem is a bladder infection. Cystitis is not that common in puppies, but it does happen, and may need treating with antibiotics. So if none of the other problems applies, and your previously clean puppy has started wetting the bed, or leaving puddles around the house again, you need to get him down to the vet and have him checked over. The chances are, that you have simply let things slip, but it’s best to be on the safe side. 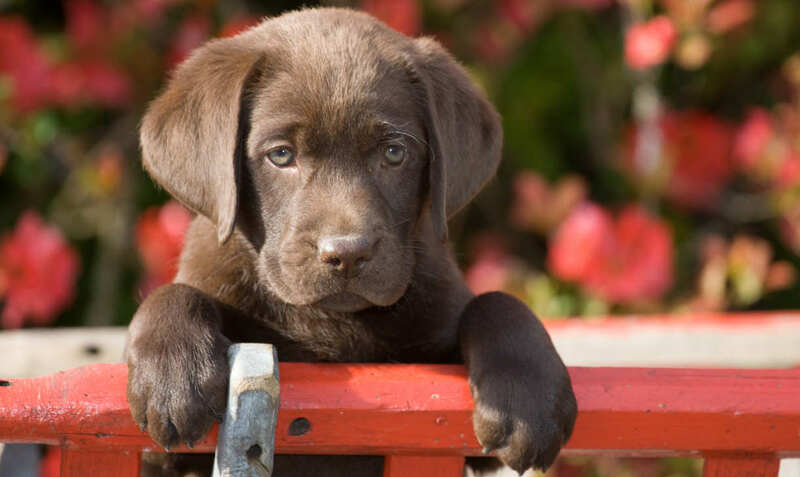 So there we are – almost without exception, when I help someone that has a puppy potty training problem, the problem is happening for one of the fifteen reasons listed in this article. But the truth is that for much of the time the dog is not responsible. We are asking an animal to adjust his behaviour to our strange human requirements, something that most dogs do a great job of meeting. But they need and deserve a little help along the way. 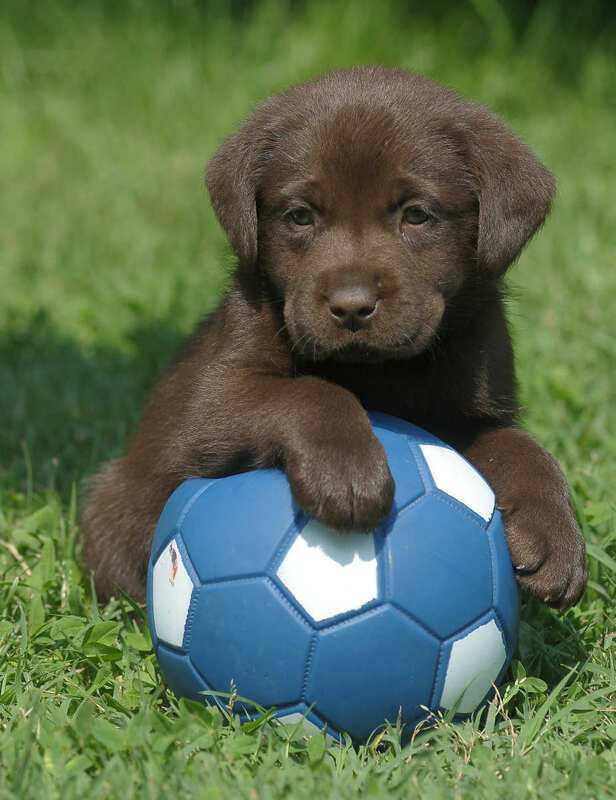 Puppy potty training is a good example of how we can set our puppies up to win, by managing the situation around them to build great habits for the future. 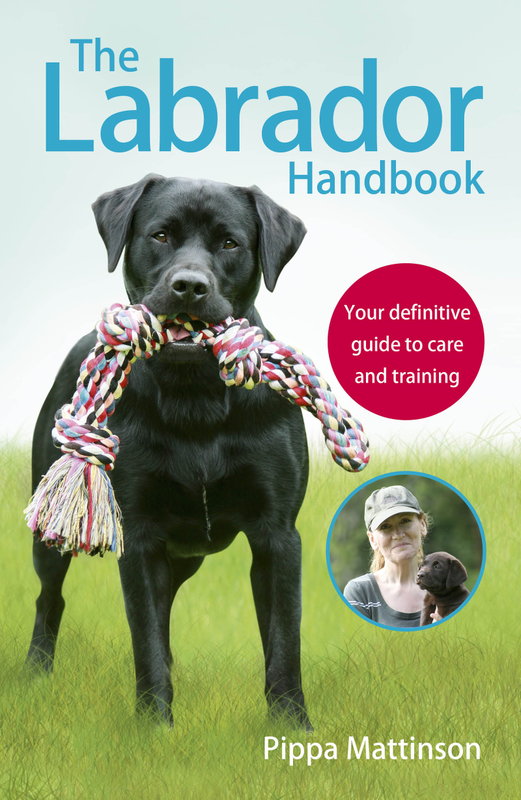 You might also enjoy my new book: The Labrador Handbook and you can use that link to pre-order from Amazon UK. 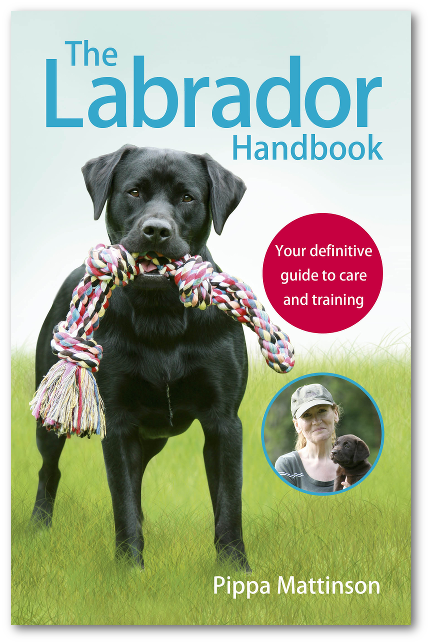 The Labrador Handbook covers potty training, feeding, and all other aspects of raising a Labrador, from puppy to senior citizen. Don’t forget, if you need free help and support with potty training your puppy, we have a helpful library of articles on this topic, and a wonderful support forum where you can get advice and sympathy from others that been where you are now. If you want to share your own potty training tips in the comments box below, it’s sure to be a help to other puppy owners. 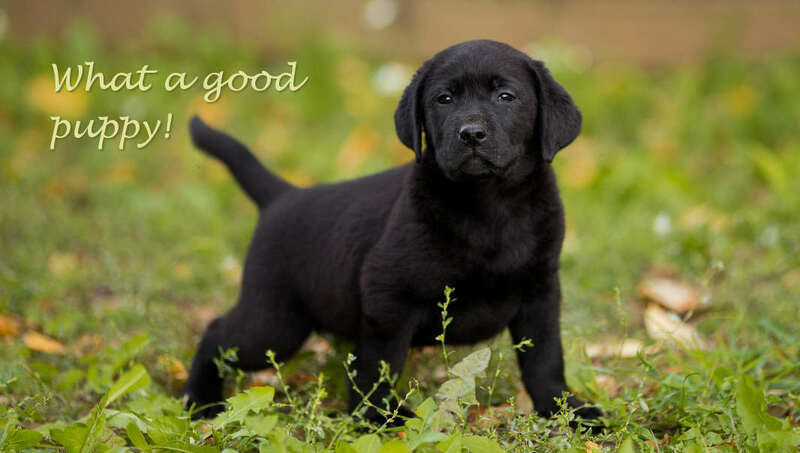 I have a 9 week old lab which I has been with us for a week. He has learnt to pee and poor outside, can last all night in his crate, sits by the door when he wants to toilet etc. We have done this by frequently taking him out at the right times and praising him etc. I have also started training him to sit using the staged process on this site. Unfortunately he seems to be interpreting the praise I give for sitting as a queue to pee. This is now the the only time that he will pee in the house. I recognise I need to break the connection that has been made between praise and peeing, and intend to start to use a cue word for when he is toiletting and to postpone any other training while I sort this out. Am I doing the right thing and/or what else should I be doing? I’ve been following all of the advice I’ve read here, or so I thought. But I am not having luck. I have a 14 wk old lab who I crate at night and when I can’t watch her. She has a large pin that she can use for potty that is outside and she has access to everyday all day while she is not in the crate. Even with the access, she will still randomly squat down and go potty. I’ve interrupted her and brought her outside, I’ve done the stern “NO!” And I’ve praised her when she goes potty outside or in her designated spot. She gets excited when she is praised. Yet, she still goes inside and anywhere, even one time on frunature. I’ve only had her 3 weeks, I don’t know if it’s because she’s new still and didn’t get proper training before or if I’m not cleaning right (laminated floors 100 percent through the house) or what is going on. Any advice? I should add, she also goes on long walks and gets a lot of play time in. How old is your puppy Jaymie? Hi Victoria, using a cue word doesn’t interfere with your dog going for a wee outdoors without you saying the word. Just as dogs that have been taught to ‘sit’ on cue, still sit at other times when they want to. But it is a reasonable question as putting annoying behaviours (like barking) on cue, can work to reduce the behaviour at other times. It probably depends on how ‘essential’ the behaviour is. 🙂 Good luck with your puppy. I can’t speak highly enough of a cue word! We taught our boy to go when we say “quick quick” – it’s unique and we aren’t accidentally going to say it indoors! It was super easy to teach, we just said it every single time he went where we wanted him to. We still use it every time we see him go on his own just to be sure he understands what it means, and now if we take him outside and say it, he goes if he needs to. If he doesn’t, we try again a little while later. He’s also pretty good with following us around the house, and if we open the back door he’ll either hover around in the laundry (signaling he doesn’t need to go), or he’ll run outside (signaling he does). We haven’t had a problem with accidents since he was three months old, he’s now eight and a half. He only feels comfortable going on the grass and thankfully he’s never gone on the carpet!